How could I say “no” when my students wanted to learn more about vegetarianism? We had already covered major nutrients so they knew the ins and outs of complete and incomplete proteins and how to make complementing protein combinations. 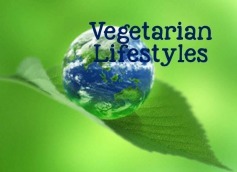 Still, they wanted to know more; more about the types of vegetarian lifestyles, why people would choose to become vegetarians, and foods they ate. So I decided to mix in a little common core and critical thinking to this lesson and teach them what they wanted to know. 11.3.6 C Analyze factors that effect food choices. 11.3.9 D Critique diet modifications for their ability to improve nutritionally-related health conditions ( e.g., diabetes, lactose intolerance, iron deficiency). 11.3.12 F Evaluate the application of nutrition and meal planning principles in the selection, planning, preparation and serving of meals that meet the specific nutritional needs of individuals across the lifespan. Show students the PPT slide of famous people and ask them what they have in common. All of the people pictured are or were vegetarians. Show a word-splash of terms/vocab that students should know concerning this topic and have them use class resources/internet to define. Go over definitions to be sure they are accurate. To show students the variety of vegetarians show this YouTube clip and have students fill in their graphic organizer while viewing. Go over to be sure they understand. Brainstorm a list of reasons why people become vegetarians while viewing this YouTube clip and discuss them afterwards. Assign students a small writing assignment that asks them to think about what type of vegetarian they would be if they had to become one. Invite a guest speaker in from a local health food store to discuss vegetarianism and have students participate in a Fear Factor style blindfolded taste test of common vegetarian foods such as tempeh, tofu, quinoa, hummus, falafel, and seitan. Have students write a reflection paper about this taste testing experience. Finally assess students knowledge of terms and vocabulary by having them write a creative story using all of their previously assigned terms correctly within the story. If yes I think everyone in the world should give a trial on vegetarianism for few years , then we should check our Eco balance , if it is going fine we should all remain vegetarian. If not going fine everyone can go back and try different method to remain vegetarian.